Pour all the ingredients into the slow cooker. Set on low and cook for 8 hours. 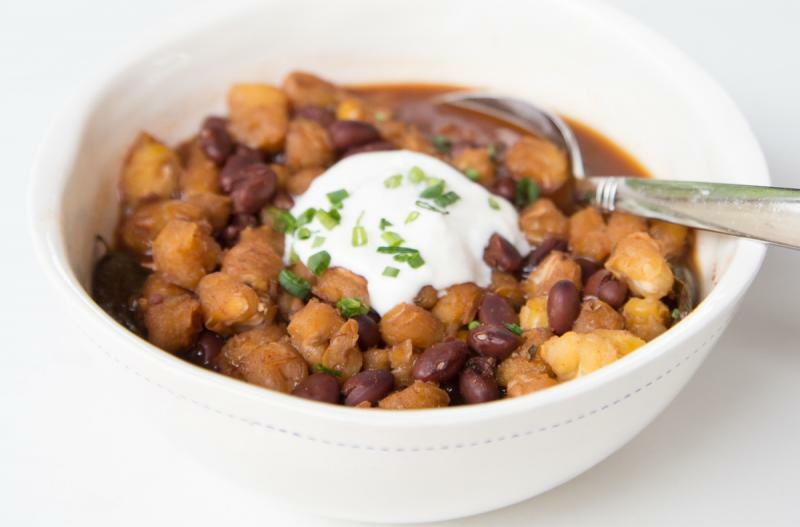 Serve Slow Cooker Black Bean Posole with avocado and cilantro garnish, with side salad.